Walima in literal translation means "to assemble" and is used to describe an assembly or party celebrating major life events. Walima is essentially interchangeable with American and English terms such as: wedding reception or celebration (when held to celebrate a marriage), birthday party (when held to celebrate the birth of a newborn), or housewarming party (when held to celebrate the purchase of a new home). Similarly, walima is generally interchangeable with other languages/cultures terms that essentially mean to assemble for the purposes of celebrating a marriage, newborn, or new home. While it is an Arabic term, it is not necessarily a term reserved for Muslims per se, as the word simply describes the event that is to be celebrated. Marriage in Pakistan is a legal union between a man and a woman. Culturally, it is not only a link between the husband and wife, but also an alliance between their respective families. Because about 97% of Pakistan’s population is Muslim, where Islamic law is usually observed, as it is a contract in Islam between a man and a woman to live as husband and wife, It has to be at least two witnesses, it can’t be secretive and need mutual consent. Walima in Pakistan, is the final day of the wedding held by couple as they host their first dinner as husband and wife, without the bridegroom’s parents (mother and father) this ritual cannot be performed. So to make walima valid parents blessing and presence is the most important factor The groom's family specially father and mother play the important role to invites all of the bride's family and their guests to their home for a feast at their home or a marriage hall. 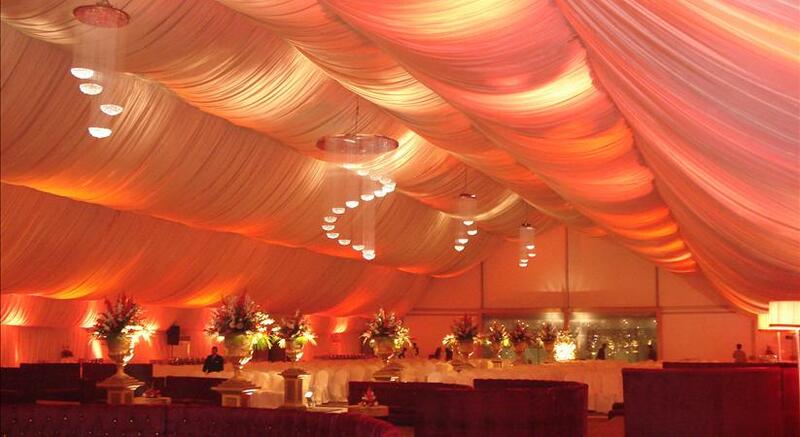 The walima is typically the most festive event of the wedding ceremony and intends to publicize the marriage. The bride wears a heavily decorated dress with gold jewelry provided by the groom's family. Typical color palettes are green or pastel shades. The groom normally opts for a formal Western suit or tuxedo. So if you are looking for a perfect Events Planner, A perfect Wedding Planner, who is really perfect in all of its specifications and rituals, with all concerning event, like Walima Designers, Weddings Planners, Best Walima Setups Providers in Lahore, Pakistan, Then you have come across the right point. A2z Events Solutions Management is One and Only leading A2Z Events Solutions Providers, who are perfect and fully trained about all Wedding’s Concern Events, like Mehndi, Barat, Walima and Mayon etc. 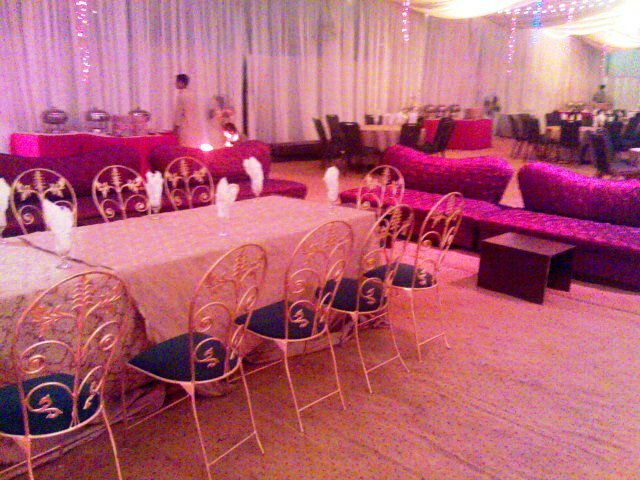 We have done Countless Wedding Events Like Walima Events, Barat Events, Mehndi Events, with remarkable results and Setups. Our valued clients do understand our standard of services, dedications and commitments with our services and skills and consider us as the best weddings planners, best thematic weddings events designers, best Walima Events decorators, best barat events designers, best Mehndi Events Designer in Pakistan. We do have different Packages and specifications accordingly concerned to all of these wedding events like Walima, Barat, Mehndi, Mayon and Nikkah. Arranged marriage in Pakistan often take long period of time to get finalized, so many things come to up to be managed and cared off for further advancement and Normally this is right way to start for a marriage life. Most probably parents do like to search right life partner for their daughter or son. In this process some time their family members, relatives, friends and colleagues do help them to find out the right choice. Still this Custom is being respected and appreciated to have parent’s will in this concern, Though in some cases, Couple’s will and satisfaction also do involve. The time from preparation until wedding day could span in some cases more than one year. When the wedding date approaches, all close relatives, friends and neighbors are being invited for a typically Pakistani wedding ceremony to get knotted the couple in to matrimonial life, that requires a considerable budget in order to accommodate them. In some cases, wedding dates are even postponed until the important and closes relatives are able to arrive to the location of the reception from abroad. The wedding customs and celebrations also differ significantly depending on the geographical location as well as the families involved. However, a typical Pakistani wedding has at least three man customs involving the Henna Ceremony (Rasm e Henna), the vows or the Nikah, which is a part of the actual wedding or Shaadi Ceremony and a subsequent Walima offered by the groom’s family. Proposal party A proposal party is always a reception, being organized by the bride’s parents at their house, where the groom’s parents and family’s elders gathered, formally asking the bride’s parents for her hand in marriage. In religious families once the wedding proposal is accepted by the bride’s parents, all families read Surah Al Fatihah. And then tea and other refreshment like colorful sweets are served and parents are being congratulated by the family members, relatives and friends. In some families it is common, that bride is presented with an item of jewelry like ring for the custom to be performed, along with other gifts and presents in cash by family seniors. It is customary in Pakistan, that Bride and groom do receive presents in the form of cash and some other values. Traditionally, an envelope with cash is given to the bride or groom by the senior family members, relatives and wedding guests when they come to visit them on stage. That is a traditional way to present to the couples at stage during the wedding reception. Sometime this pattern could be changed as some of guests do present this cash envelope to any of bride or groom’s parents instead. Normally, these days this trend is being changed in some families who do organize a box to drop all these presents and cash envelopes at wedding reception. It is also customary for the friends and family members of the couple to invite them over for dinners and lunches at their homes, restaurants and hotels. Some of these closest relatives even do more by giving couple a holiday’s package for honeymoon. All this is to appreciated them for new couple life. or Valima, or the marriage banquet is the second of the two traditional parts of an Islamic wedding, The Walima is performed after the Nikah or marriage ceremony. The word walima is derived from Awlam, meaning to gather or assemble. It designates a feast in Arabic. Walima is used normally as a symbol to show domestic felicity in the household post-marriage. While Walima is often used to describe a celebration of marriage, it is also held to celebrate the birth of a newborn and purchase of new name. If you do have any upcoming Wedding or Family Event, and you are looking for leading and top class events/weddings planners in Lahore, Pakistan, with specific budget and top quality services. Please do let A2Z Events Solutions play its vital and Most effective professional role to make your event most memorable and awesome. Mehndi or menhdi is the application of henna as a temporary form of skin decoration in Pakistan and Other Asian Countries. The word mehndi is derived from the Sanskrit word mendhikā.The use of mehndi and turmeric is described in the earliest Vedic ritual books. Haldi(Staining oneself with turmeric paste) as well as mehndi are important Vedic customs as a symbolic representation of the Outer and the Inner Sun. Vedic customs are meant to awaken the "inner light" and so the gold of the inner Sun has an important symbolic function. When a couple got agreed for this traditional custom / Wedding Code, Both families do specified dates for their traditional customs to be engaged. Mehndi is the first Custom normally being taken place, when all women tries to have henna done on their hands and feet with typical designs, a specially occasion/ceremony is held for this particular custom, where all family members and friends are being invited, to come & join this ceremony, pray for couple’s new marriage life, all of these relatives, friends and family members do participate this Rasm-e-Henna, applies it on Couple’s hands and feets, pray for their new life, give them money, presents, and other values. Special Wedding garments are often worn, Music is also played with dance and songs performances by the family, relatives and friends. Henna is originally used as a form of decoration mainly for brides. In the modern age, usually people buy readymade Henna cones, which are ready to use and make painting easy. However, in rural areas in Pakistan and India, women grind fresh henna leaves on sil (grinding stone) with added oil, which though not as refined as professionally prepared henna cones, brings much darker colors. All Pakistan’s Tribes, Families, Provinces, Casts and Areas do perform this Custom/ Rasm- E Hina in their own way and Tradition. But end of the day, The purpose of this Rasm- is to perform first step to unite a couple in matrimonial/marriage Chain. 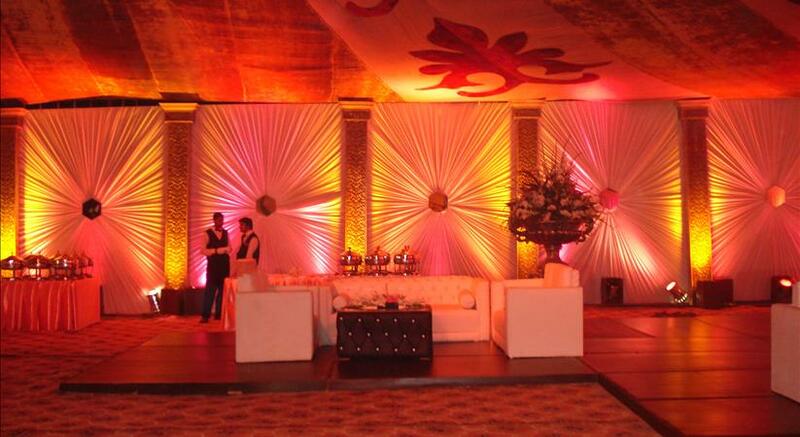 At a2z Events Solutions, we do provide you the best setups with lowest and Most reasonable, Competitive price in the market for all of these Mendi Events. We do have different Mehndi/ Rasm-E-Hina Packages, with services of Highly specialized and professionalized team members, who do take care all of your worries themselves, keeping you relaxed and come to your event like a Chief Guest with no tension at all. If you are looking for one and only, best and tope Mehndi/Weddings planners in Lahore, Pakistan, then you have come to the right point as A2Z Events Solutions do have this Honor and Credibility of Extra – Ordinary Services and Performances in this Concern. A2Z Events Solutions Management, One of The best and Leading Events Management Company in Pakistan, Only a2z Events Solutions is Taking about all your Requirements perfectly, and getting you the best and reasonable Packages, with Outstanding Class Services. A2Z Events Solutions, A Name of Trust, Extraordinary Quality of services, Commitment, Dedication and Highly Professionalism for all point of View. Is it overwhelming and getting nasty for you when it detailed? Are you stressed about all these arrangements and not sure what to do? Where to start? Stop Spending pointless hours trying to turn your marketing or human resources team in to an event management Company, or being compelled to focus your entire energies over this particular job, All you need to do is to find out a Completely dedicated, result-oriented and Reliable. a2z Events Management Company, which could take all these responsibilities personally, concerning to your any type of events, Corporate Events Management & Events Marketing, Media Announcements, Laser Shows, Musical Aquatics, Video Shooting, Weddings, Parties, functions, Shows, Meetings, Conferences, Birthday Parties, Concerts, Music Nights, Corporate Parties, Gala Nights, Family Entertainments, Product Launching Ceremony, , Get together, Theme Parties, Outdoor Advertising Activities, as we do have Extensive Experience of over 11 Years , in the same industry. A2z Events Management Company do have its own image and repute through the country, and internationally as we did played our effective roles, in all type of events, and draw an attractive picture in our valued Client’s Heart, Getting a permanent space for their future needs for any event. There is no type of event, which can’t be taken care by our highly qualified, Professional’s Team, So if you do have an Event Upcoming, Please do give us a Call for slight Meeting, We promise to get you the best and Most competitive packages in the market, with high Class quality Services. a2z Events Solutions Management Co.